Description: This event is hosted by the Chamber and with our event sponsor: Syntelligent Analytic Solutions, LLC. 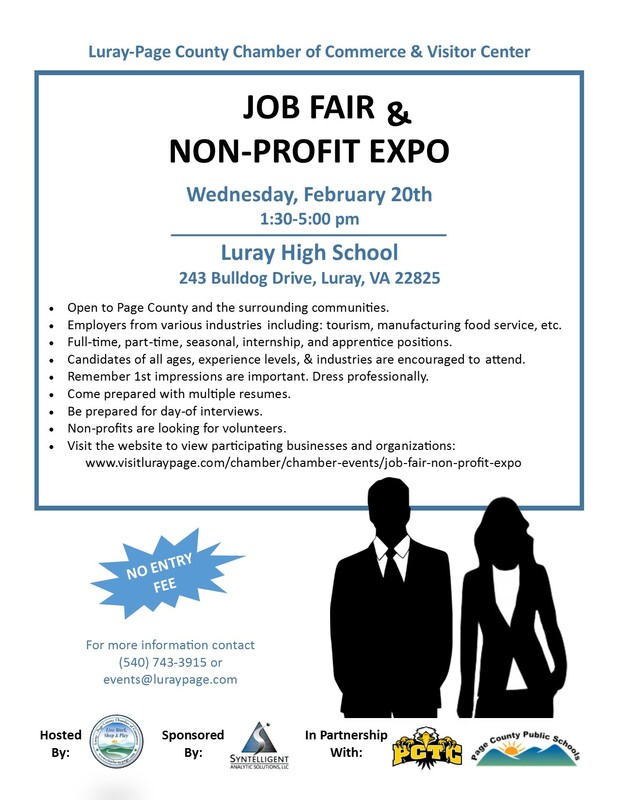 We've joined with Page County Technical Center and Page County Public Schools at Luray High School to support students and members of the community as they look for jobs and volunteer opportunities. Whether you’re a sophomore, junior, or senior looking for summer work, a first job, or an internship or a member of the community looking for a career change or just a chance to find new, fulfilling employment, this event is for you! We will have more than just businesses looking for full-time, part-time, seasonal, internship, and apprentice positions though, our non-profits will be back again this year looking for anyone interested in finding meaningful volunteer hours within the Page County community. Remember to dress for success, bring resumes, and come prepared for on the spot interviews. 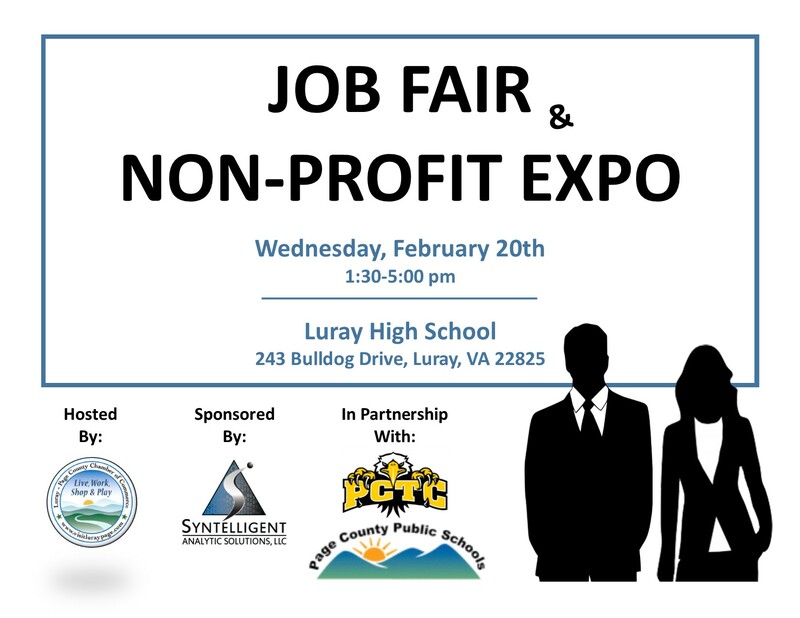 Vendors: Contact events@luraypage.com or (540) 743-3915 to reserve a booth space for your business.